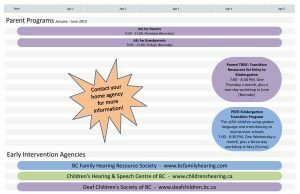 We are fortunate to live in a province where there is a lot of support for families with young deaf and hard of hearing children. In fact, there is so much support, it can be a little overwhelming for parents when they first learn about all of the services that are available to them. With that in mind, I compiled some of that information and created the Quick Reference Guide. 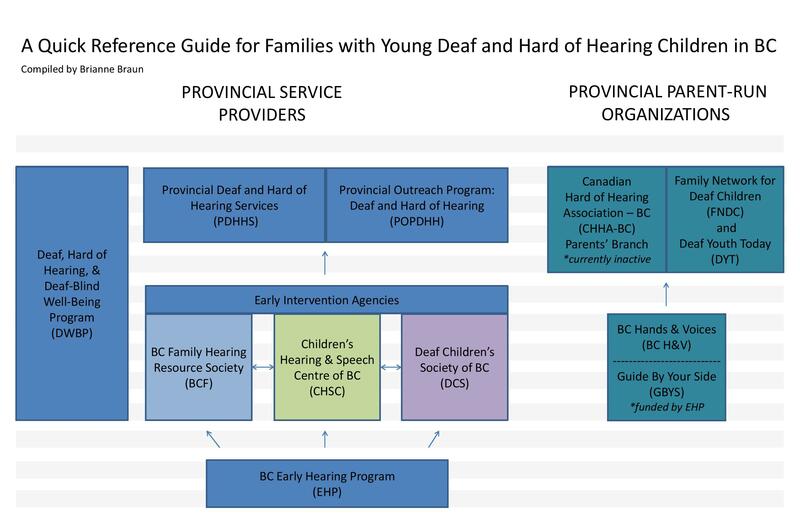 The first page of the Quick Reference Guide shows the provincial service providers and parent-run organizations, with a flowchart of how the three Early Intervention Agencies fit into the big picture. *Please note: Some families may also have access to additional resources in their home community. 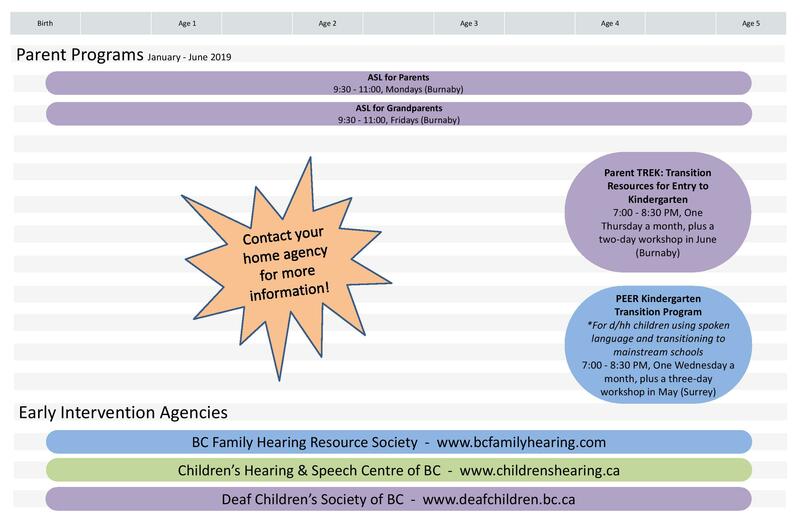 Although families must select one Early Intervention Agency to be their home agency, the “shared services” listed on the second and third page of the Quick Reference Guide are open to all families with young deaf and hard of hearing children. 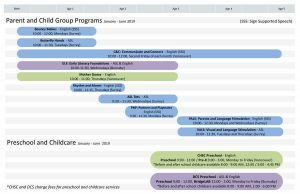 Parents may choose to take advantage of as many programs as they like, accessing services through one, two, or even all three of the Early Intervention Agencies at the same time. 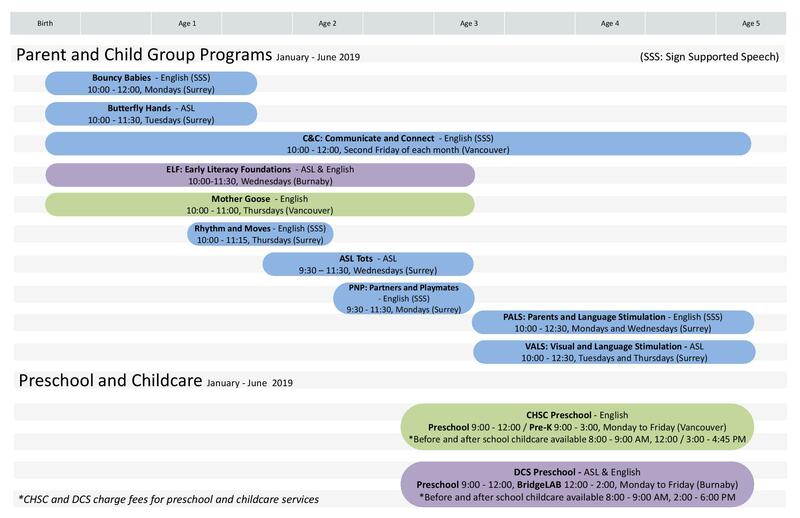 To learn more about additional services that Early Intervention Agencies have to offer, please contact them directly. I hope you will find the Quick Reference Guide useful as you set off on your amazing journey of raising a deaf or hard of hearing child! This entry was posted in Articles, Families to Families and tagged Early Intervention. Bookmark the permalink. Follow any comments here with the RSS feed for this post.